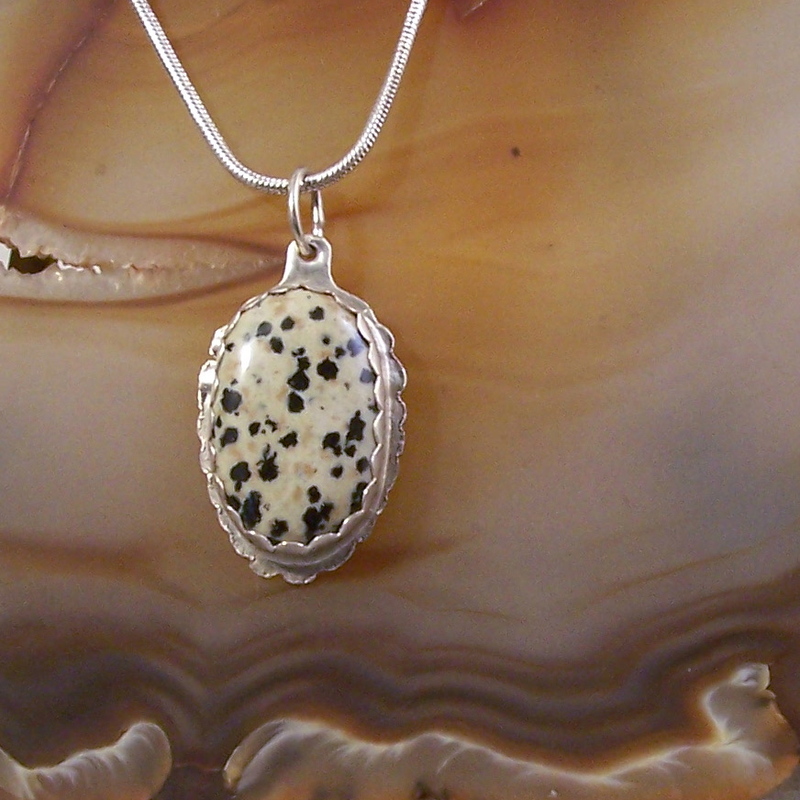 Black spots over a cream background is how this stone got it's name. I did a traditional scalloped bezel setting and scalloped the edge of the back plate to match. 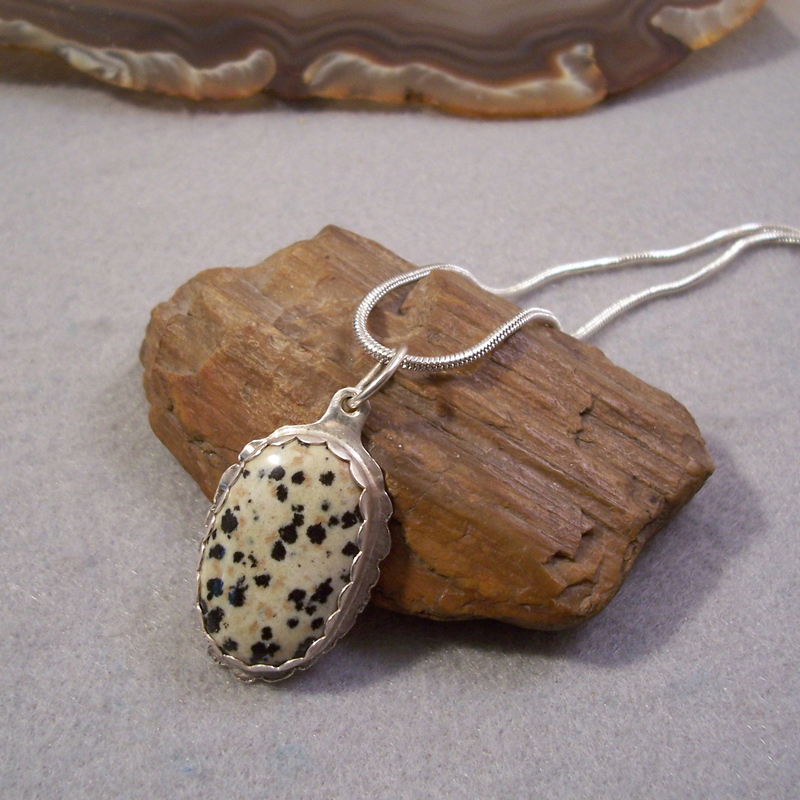 Pendant measures 1 3/4" by 1"